Be safe when camping with these tips! Camping is a great way to relax and unwind. It’s the perfect opportunity to recharge and connect with nature. However, it’s important to be vigilant when you go camping. While mother nature can be beautiful, she can also be unrelenting. 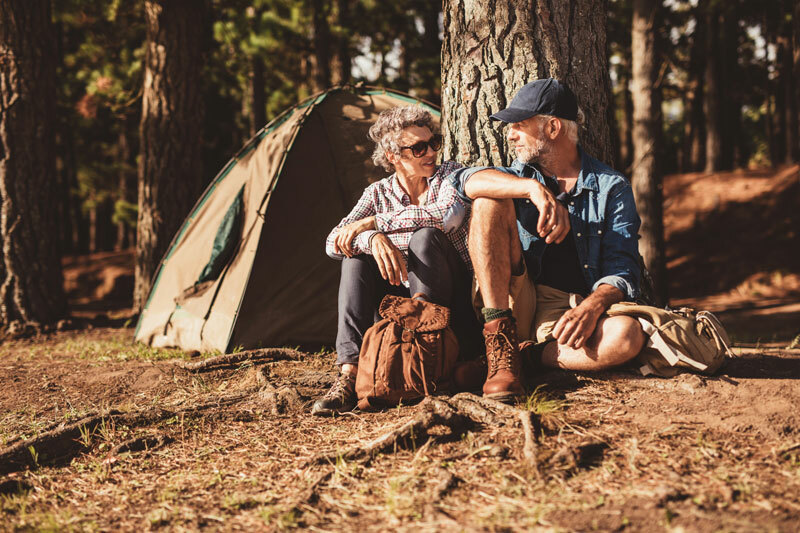 Check out these camping safety tips to ensure you and your camping companions are safe and sound. Never go camping alone. Always ensure that you have a buddy to keep each other safe. In rural areas, terrain can be dangerous. Don’t venture out unless you have a group of at least four people. Additionally, make sure to tell someone at home all about your camping plans. Include your itinerary, where you’ll be staying, your license plate number, car make and model, and your return date. That way if there are any issues, the authorities can be alerted. Bring Enough Food & Water. When you go camping, you want to ensure that you have enough supplies to last you through your journey. Bring foods in air sealed waterproof bags and/or containers and be sure to properly prepare raw foods. Always sanitize your hands before eating, and keep your food away from any animals. While a fawn may be tempting to pet or a squirrel may be cute to feed, keep your distance between yourself and the animals. Not only are these animals wild and unpredictable, but they could be carrying diseases that are dangerous to humans or domesticated pets. Observe any wildlife from a distance. When you’re out in the wilderness, it’s important to have basic survival supplies in case you get lost and need help. Keep a backpack with you at all times with a first aid kit, water bottle, flashlight, trail food, sunscreen, whistle, map, compass, and a blanket. Stay safe out in the wilderness when camping. Ensure that you stay safe with the right insurance policies. Duane Weber Insurance, Inc. can help you find the perfect policy! Located in Kent, Washington, we serve all your insurance needs in the community. Contact us for more information.